Estee Lauder has launched Beautiful Precious Drops, a "lightweight scent infused serum" version of its classic Beautiful fragrance, along with a new atomizer bottle of Beautiful. Both items are limited edition, and are available now at esteelauder. A “scent-infused serum”? Is it just me, or does that sound…mildly alarming, if not downright threatening? But these “serums” are what everyone is doing now. Most of the companies are calling them elixirs, and I assume they are just silicone based liquids. There is one for Alien, one for Aromatics Elixir, one for SJP Lovely, etc etc. 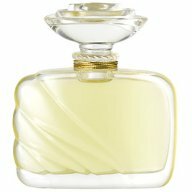 Do these fragrant serums/elixirs last long? I have Chanel #5 elixir but it seems to be fading.. I do like the smell of Beautiful but not the actual Parfum and EDT. The lotion and perfume gel was just fine for me. Good question. The only silicone based fragrance I've ever had was Kai, and it lost almost all its scent after about a year. I have a feeling these need to be used up quicker than an alcohol based fragrance. Darn it! I have more than half a bottle left! I have had this fragrance for over a year so I guess its near expiring. This is the reason why I am an advocate of small bottles of fragrances!!!! Uh-oh… I don't like Beatuiful at all. I think it smells kind of terrible, but that's jut me. How do you know when a fragrance is going bad? Is it obvious, or does the scent just kind of fade from your skin? The oldest bottle I have is a Calvin Klein Obsession Night for men (since I'm a guy and all…) and it's maybe 1 and a half years old, but it still smells good. An older scent wouldn't fade from your skin quicker, it would just smell “off”. If it still smells good, it is fine!